In this painting, David Hockney, English artist, shows us the exterior of a house somewhere in the southwest coast of the USA, probably in California, place where Hockney lives. The straight lines and the uniform colors (from the acrilyc paint) give us the idea of extreme desolation, monotony, a heavy warmness, humidity. The colors of the property are very warm, in opposition from those of the pool and the sky. 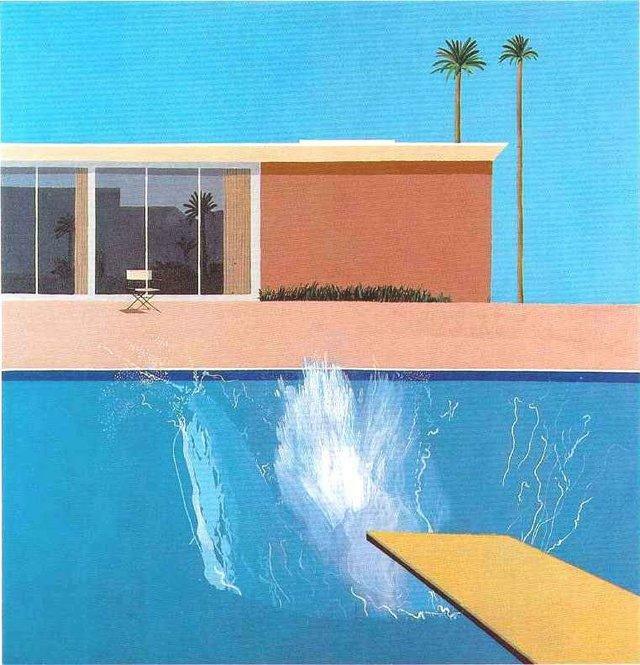 In the painting we do not see any moving being, but we just sense it by the splash, which interrupts the general composition of the work: someone has dive into the pool. And, next to the one only chair in the painting, we have the feeling of someone who is very lonely, or abandoned. This work is often stated as one of the pop art icons but, despite the superficiality of the movement, here Hockney seems to invite us to introspect ourselves: one thing that does not happen to me when I see a painting by Andy Warhol. ~ by Álvaro Mazzino on July 5, 2010. Aging sentimentalists aren’t Kensington’s and Mead’s target audience. It’s the kids, teachers, and parents that the Trapper Keeper for tablet needs to attract. A big reason is people’s insatiable demand for retro sneakers. Styles such as the Stan Smith and especially the Superstar—the sneaker that topped the sales list in 2016—have been selling in enormous quantities, thanks in part to a coordinated marketing effort by Adidas. This entry was posted on July 5, 2010 at 10:46 and is filed under Pop art.You can follow any responses to this entry through the RSS 2.0 feed.You can leave a response, or trackback from your own site.